Late yesterday morning, Bill was out in the garage working on his car and I was reading a book. It occurred to me that it was a holiday – Martin Luther King, Jr.’s birthday. Holidays used to be pretty meaningful to me back in the days when I worked hard for a living and got paid to write. When Court was little, a holiday meant a day off to spend hanging out with him. After he was grown and on his own, a holiday still meant that I got to get up when I felt like it and spend the day with Bill doing whatever I wanted. 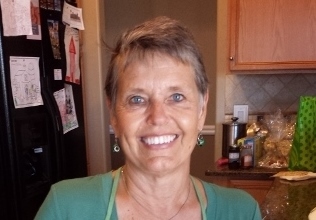 If we’re in Colorado when a holiday occurs, my grandkids might stop by our house and we may watch a movie or or go geocaching or make some cookies. But when we are in AZ, I pretty much need to be reminded of a holiday as one day is kind of like the next, in a good way. As it happened, however, I was unwilling to spend the entire day – holiday or not – sitting in my easy chair even though the latest Longmire novel is quite enjoyable and more important, due back soon to the library. So I asked Bill if he wanted to celebrate the amazing civil rights activist Martin Luther King by getting an Italian beef sandwich at Portillo’s. Well, duh. Of course he did. How better to honor a great man than with a sloppy, juicy beef sandwich? While driving to the Chicago-based eatery, we passed Sloan Park, home of the Chicago Cubs’ spring training. You might recall that many baseball clubs west of the Mississippi train in the Valley of the Sun in the spring, and play spring baseball games. It’s the only time that I pay much attention to baseball, I’m afraid. Seeing Sloan Park made me start thinking about baseball. Which further led me to spend the afternoon watching a movie that I hadn’t seen in nearly 30 years – Field of Dreams. I’ve only seen Field of Dreams one time, and that was at the movie theater, likely with Court, who would have been 9 years old when it was released. If you had asked me what it was about yesterday morning before I saw the movie, I would have said it was about baseball. That, of course, is true. But the movie is also about making peace with your past. It isn’t until literally the end of the movie that you realize that everything that happened led up to Ray Kinsella (played by a very young Kevin Costner) playing catch with his father, long dead. Ray’s biggest regret was that he had, in anger, said something hurtful to his father, and then never saw him again before his father died. Here was a chance to make peace for a past hurt. Oh, if only this could happen to all of us, right? My late mother-in-law loved herself a Chicago hot dog. 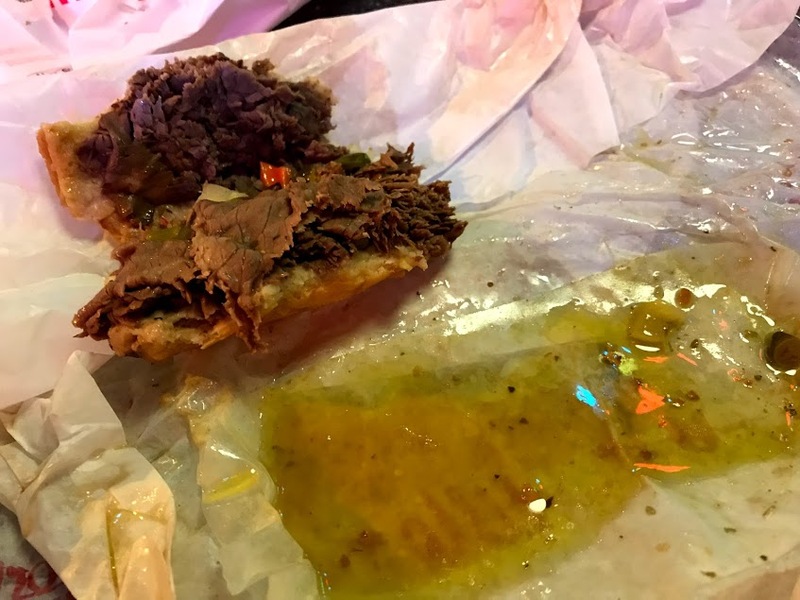 I never saw her eat an Italian beef sandwich, but up until her final couple of years, she was always eager to go to the Portillo’s near her house where she would order a hot dog and French fries. 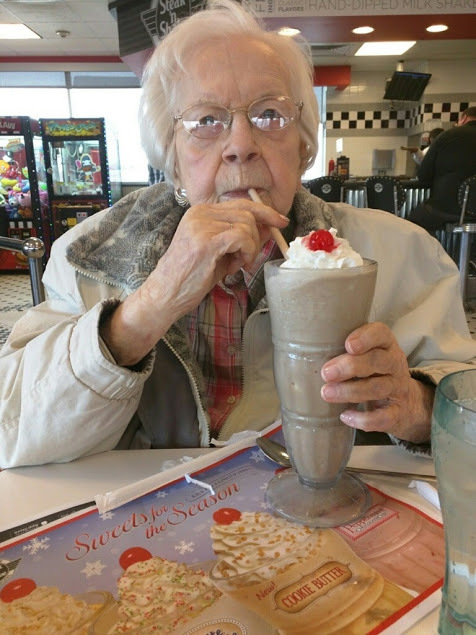 She saved her chocolate shake for Steak N Shake…..
Arizona is required by state law to post the calorie count for all restaurant foods. Party poopers. 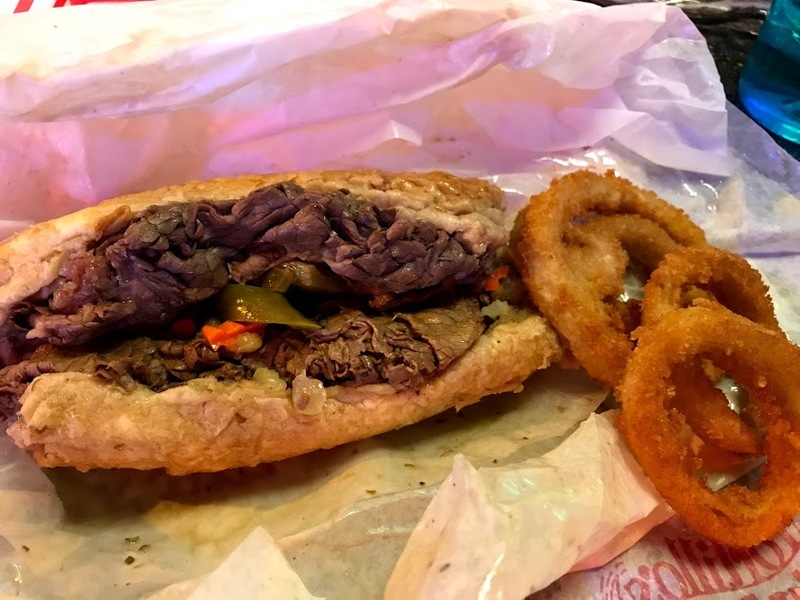 Each Italian beef sandwich was 530 calories. Of drippy goodness and, unlike Ray Kinsella, no regrets. « What Are You Looking For? That picture of Wilma makes me smile!